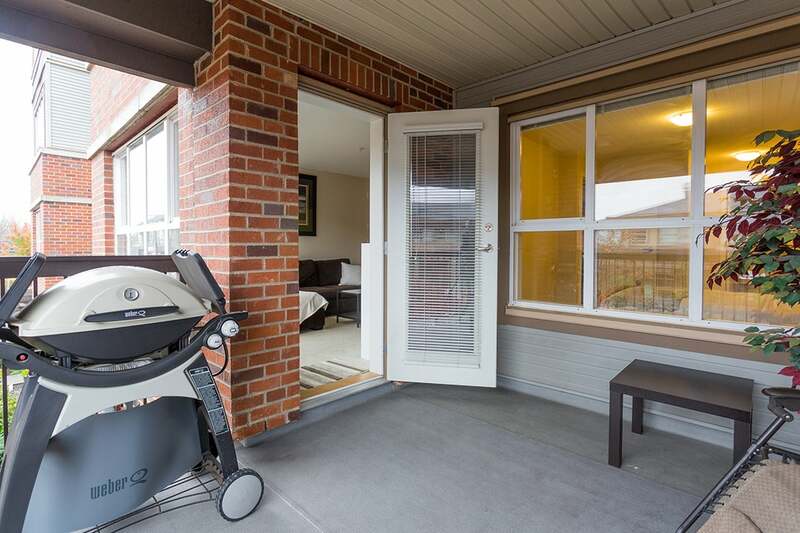 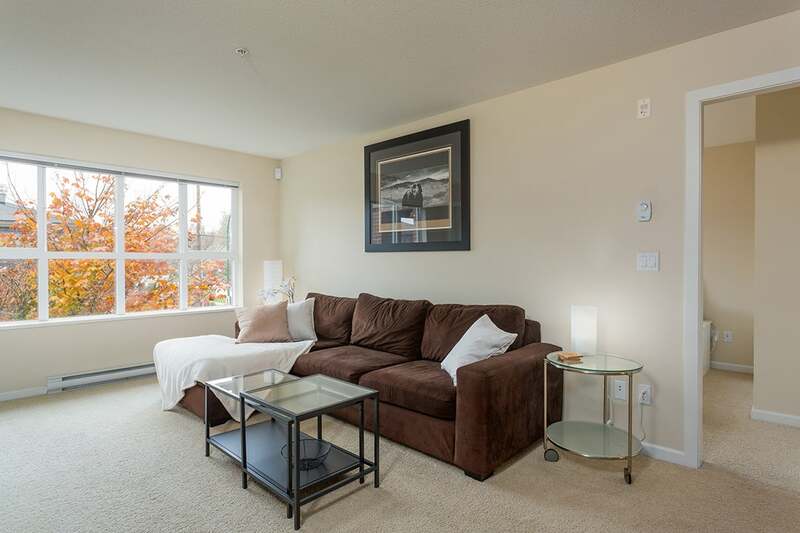 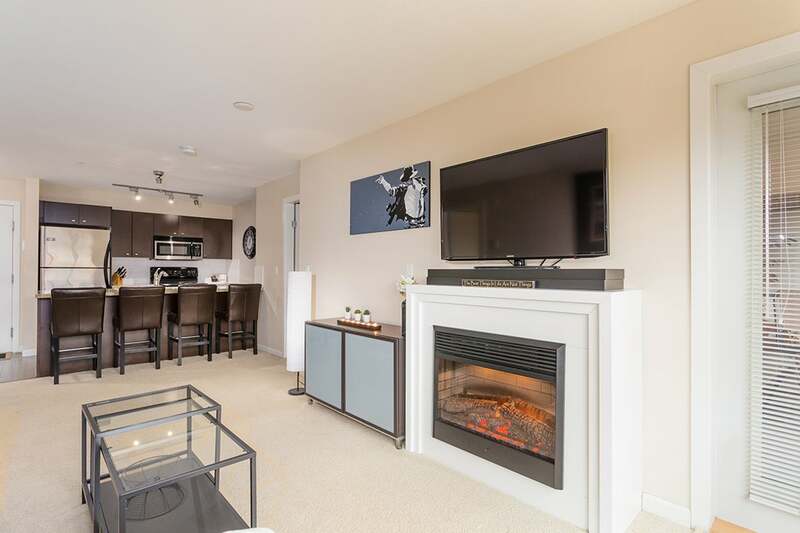 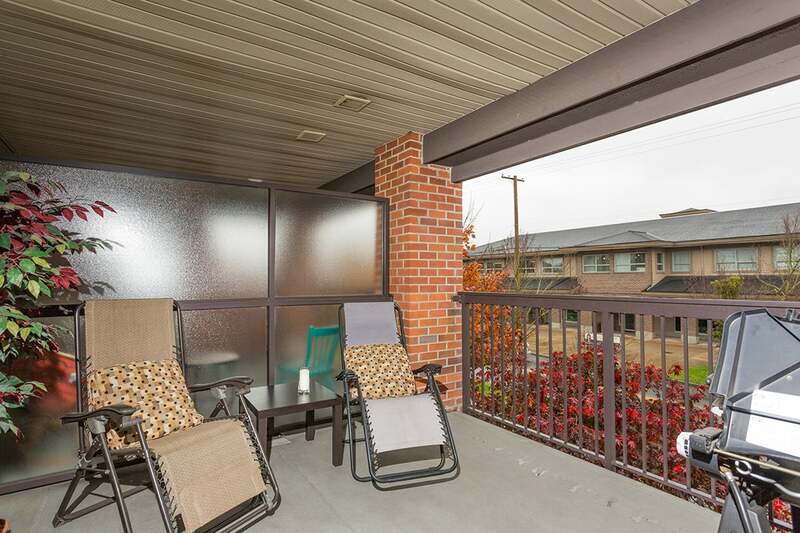 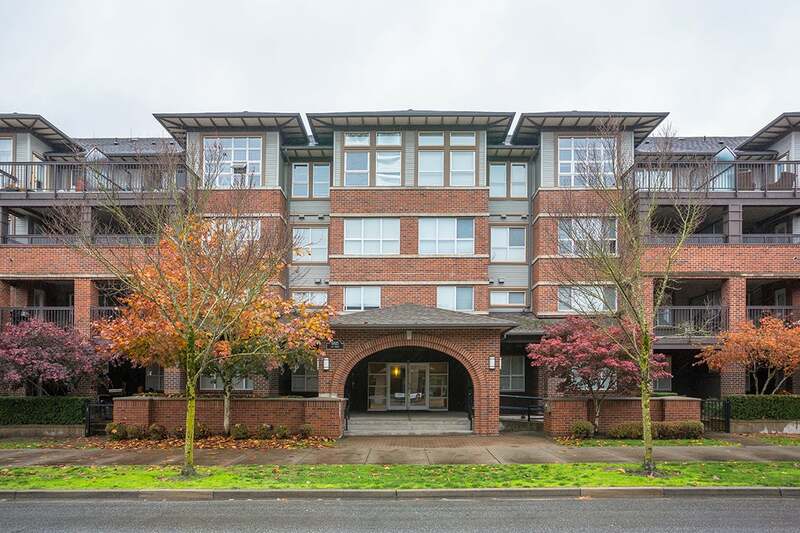 This FABULOUS 2 Bed, 2 Bath Condo is Walking Distance to EVERYTHING and MOVE-IN READY. 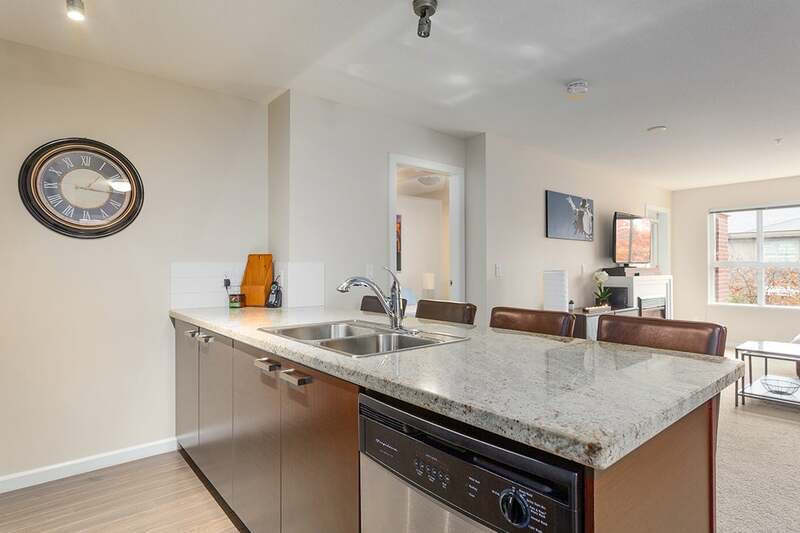 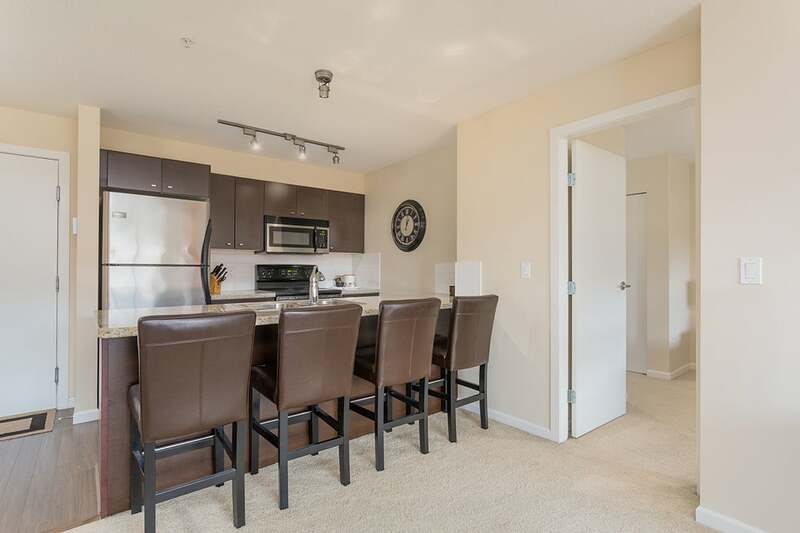 Granite Kitchen with bar and Stainless appliances opens to your spacious Living Room with cozy fireplace and large East-Facing balcony for morning sun. 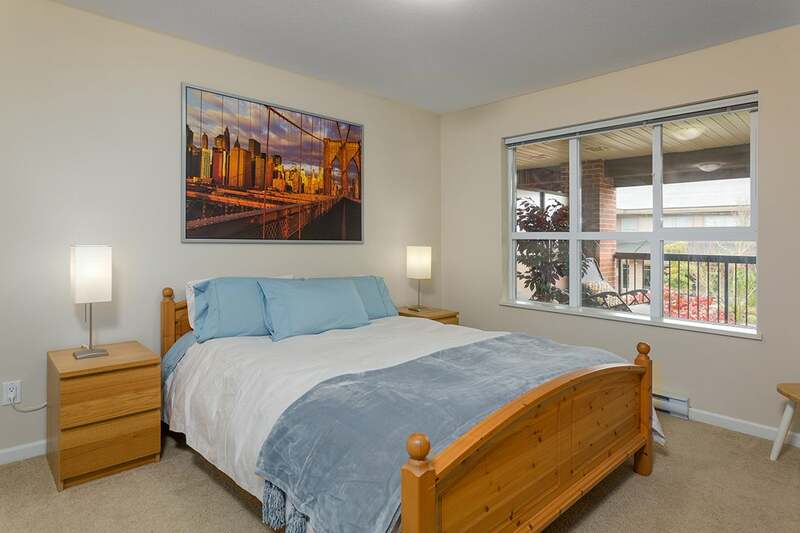 Large Bedrooms separated by living space both have lots of natural light! 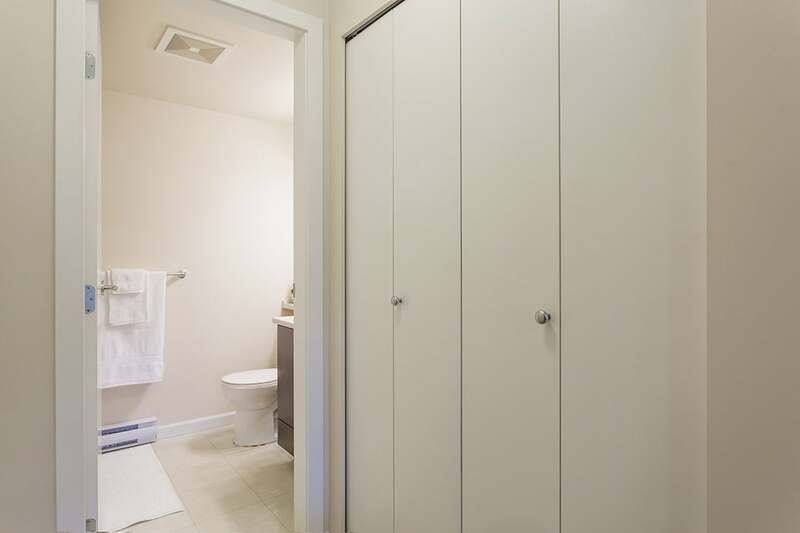 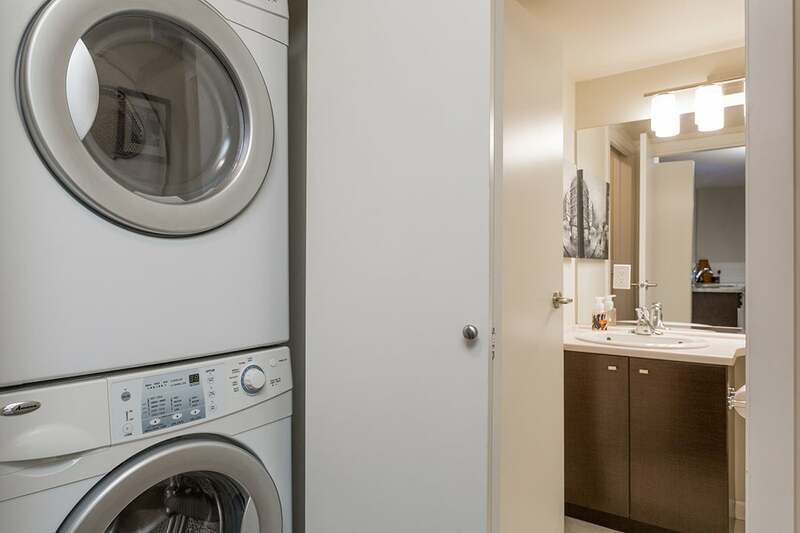 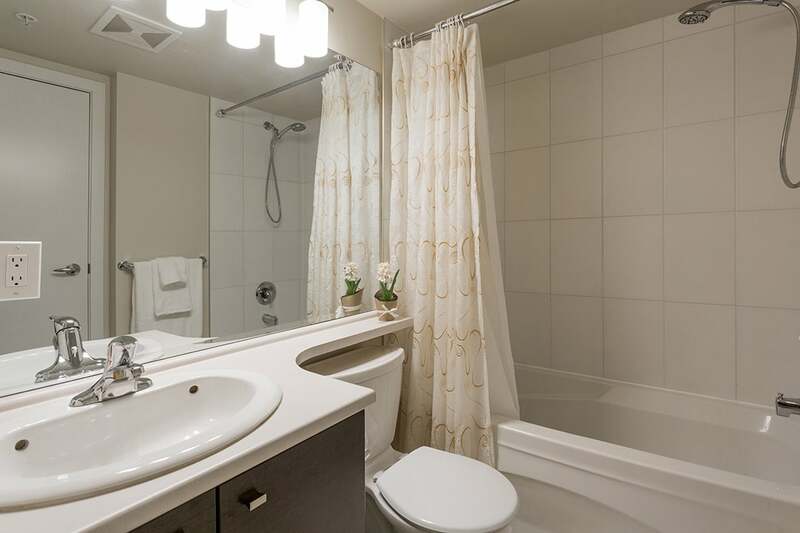 In-Suite Storage Room, 2 Bike Rooms, Secure Underground Parking and EXTRA PARKING available for rent! 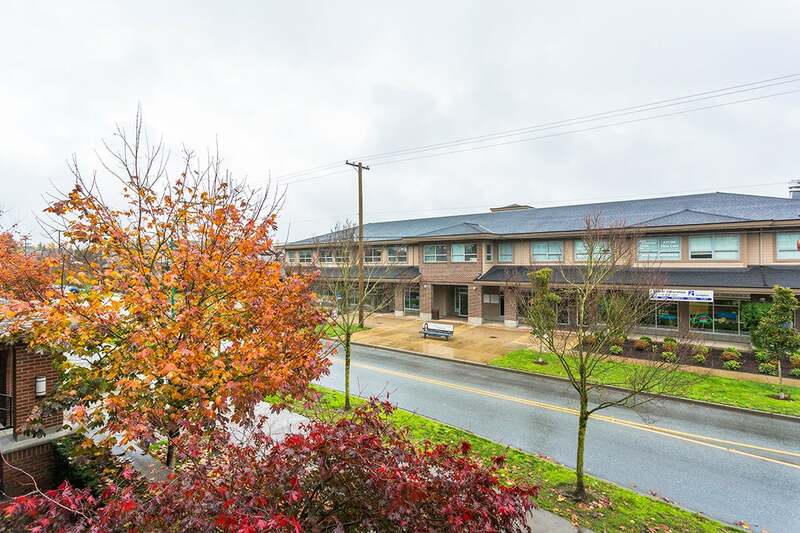 This well managed building has an amenity room and healthy contingency fund. 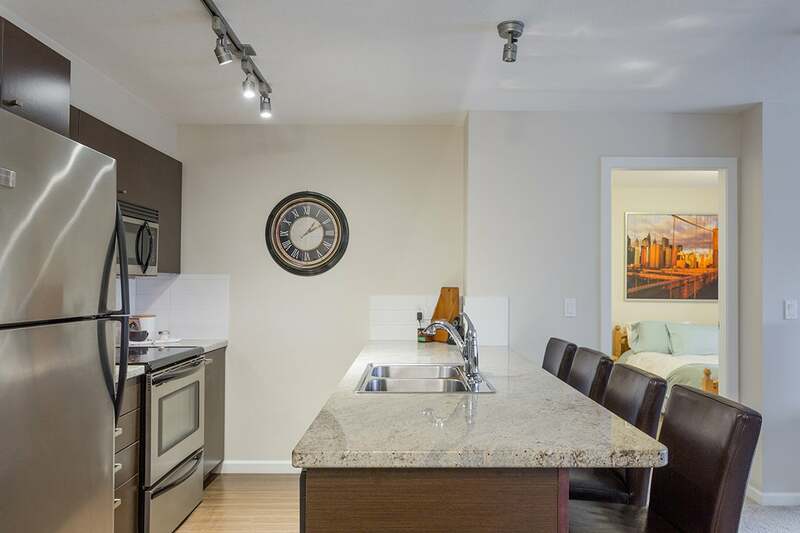 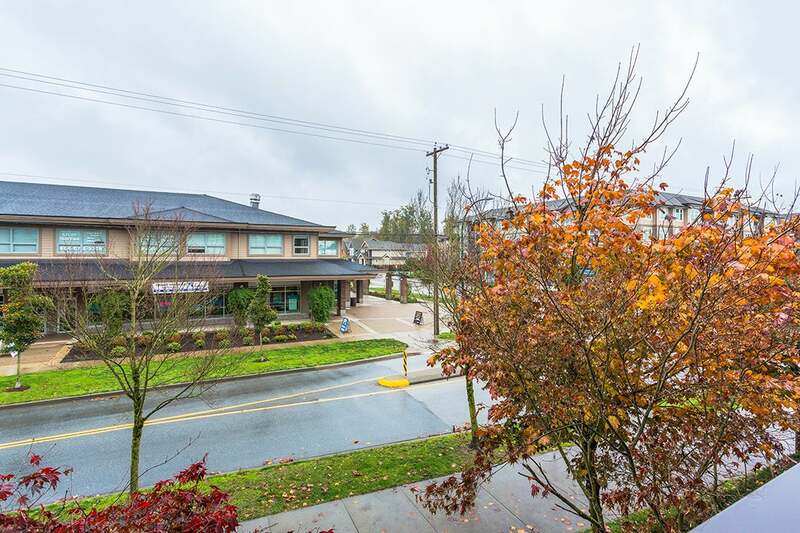 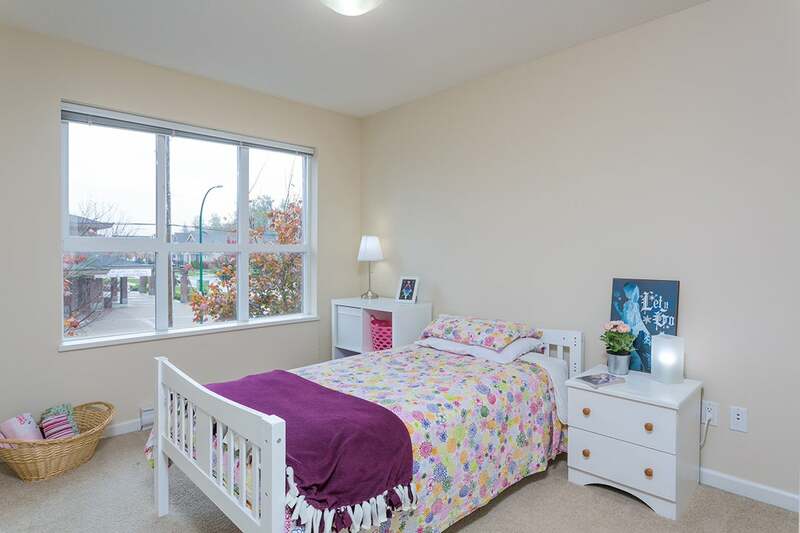 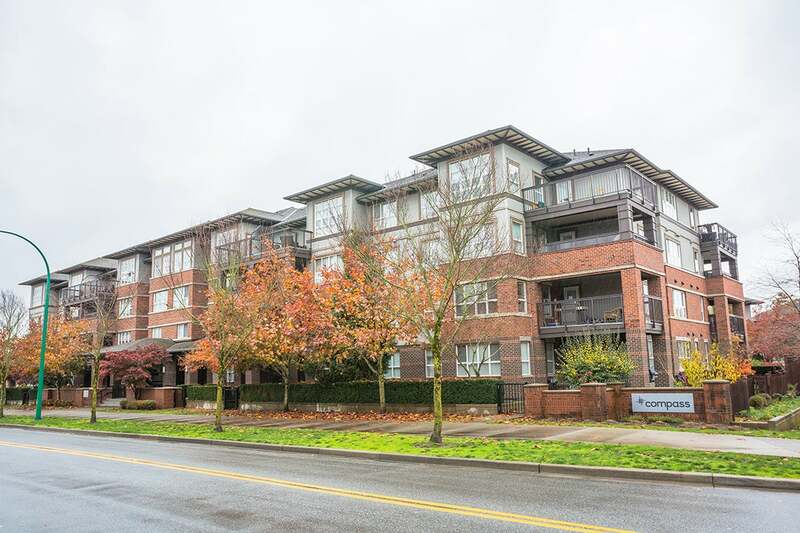 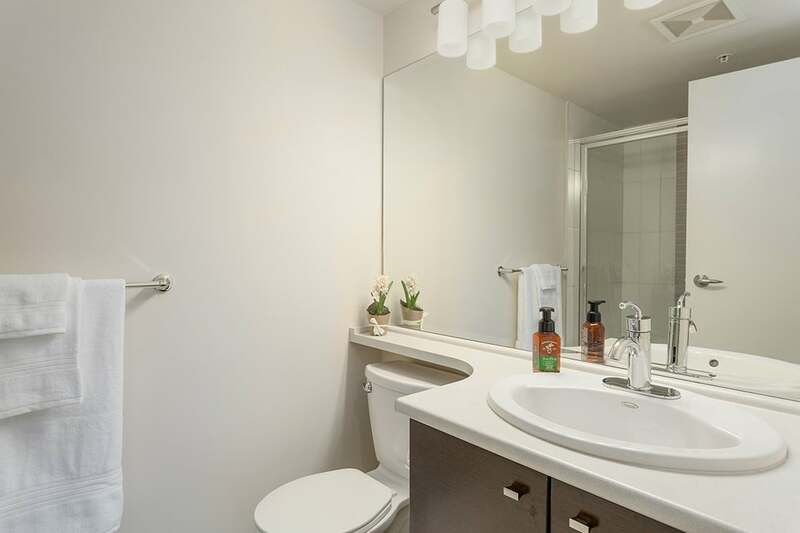 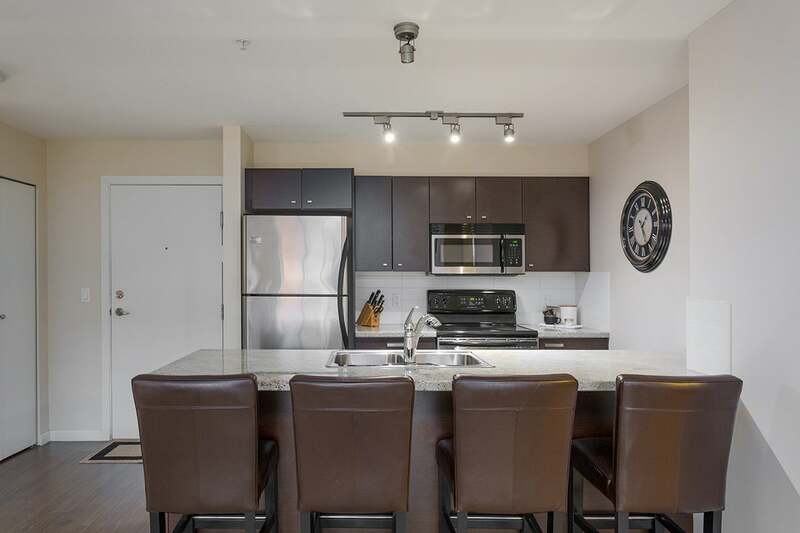 Next door to restaurants, groceries, Starbucks, express transit to Skytrain, a park, schools and the Off-Leash Dog Park! 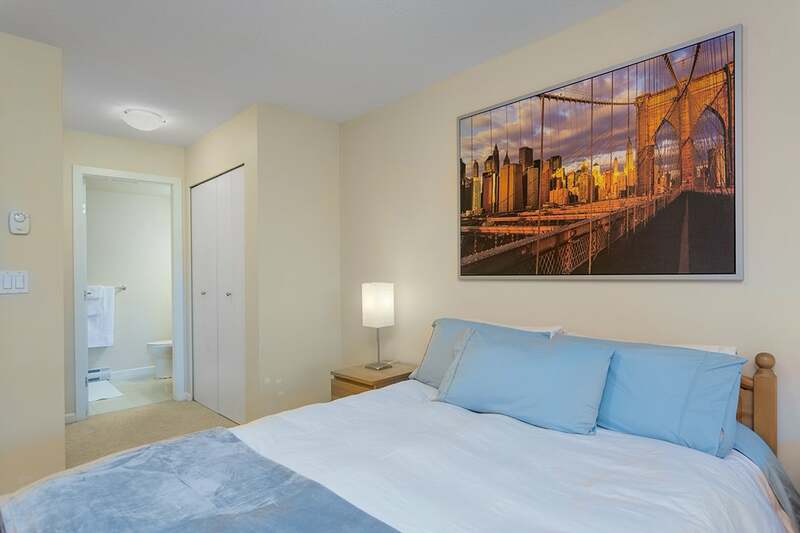 Perfect for commuters, investors and families! 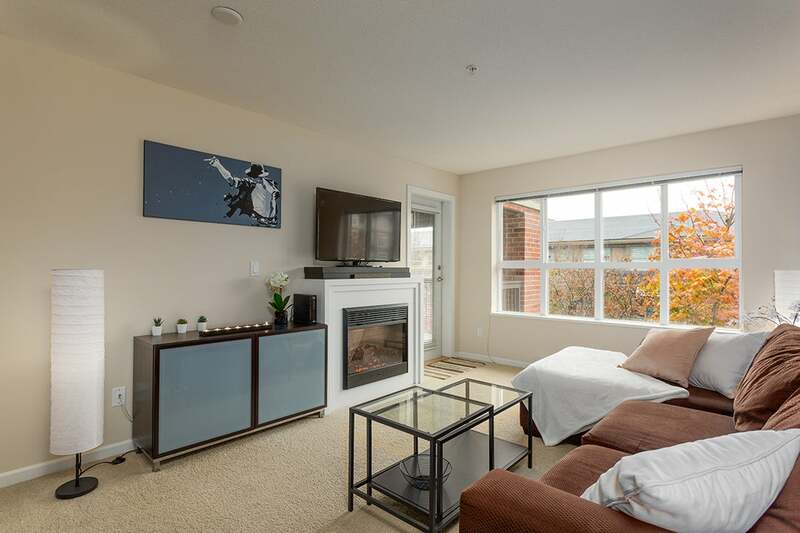 Non-Smoking, Pet Friendly and Rentals allowed!